Kidnapping charges can range in severity, with first-degree charges being the most serious level of charges that can be filed against a person. 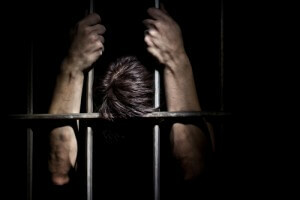 The penalties upon conviction can be devastating to a person’s freedom, family and future. Having a strong defense will be critical to resolving these charges as favorably as possible. At Shimon Kohn, P.C., our Colorado Springs kidnapping defense attorneys have been dedicated to fiercely defending the rights of the accused and upholding the ideal that people are innocent until proven guilty since 2003. While we have the knowledge, experience and resources to help build our clients the strongest possible defense cases, we also have the skills necessary to help them obtain the best possible outcomes to their cases when they are facing kidnapping charges. When facing kidnapping charges, you can rely on the Colorado Springs kidnapping defense attorneys at Shimon Kohn, P.C. to build you the strongest possible defense. Imprisoning or hiding someone else. In such cases, the alleged intent usually has to be that the accused individual was trying to get money (or something else of value) in exchange for the kidnapped individual or that the accused individual was trying to coerce someone else into agreeing to something (in exchange for getting the kidnapped individual back). While Class 1 felony charges will typically be filed if the kidnapped person has been injured in the course of the alleged kidnapping, Class 2 felony charges will usually be filed if the kidnapped person is returned without injury. If, however, someone is killed in the course of the kidnapping, the prosecutor in these cases may threaten the accused person with the death penalty. A deadly weapon was allegedly used in the course of the kidnapping – In these cases, Class 3 felony charges will typically be filed. The victim allegedly sustains a sexual assault or is allegedly robbed in the course of the kidnapping – In these cases, Class 2 felony charges can be filed. False imprisonment, in which a person is allegedly detained by someone else against his will – Misdemeanor to felony charges can be filed in these incidents, depending on the details of the case. Custody order violations, in which someone allegedly takes a child away from the legal guardian without the guardian’s knowledge or consent – These incidents can result in Class 5 felony charges, which may be elevated to a Class 4 felony if the child is allegedly taken outside of the country. Enticement of a child, in which someone allegedly lures a child (i.e., someone younger than 15 years old) with the intent of having any type of unlawful sexual contact with that child – These incidents are typically associated with Class 4 felony charges, which can be elevated to Class 3 felonies if the accused individual has a criminal history. Colorado Springs Kidnapping Defense Lawyers at Shimon Kohn, P.C. Have you or a loved one been charged with any type of kidnapping offense? If so, the attorneys at Shimon Kohn, P.C. are ready to aggressively defend your rights and help you bring your case to a successful resolution. Since 2003, we have been helping our clients navigate the intricacies of the criminal justice system while building them the strongest possible defense cases.